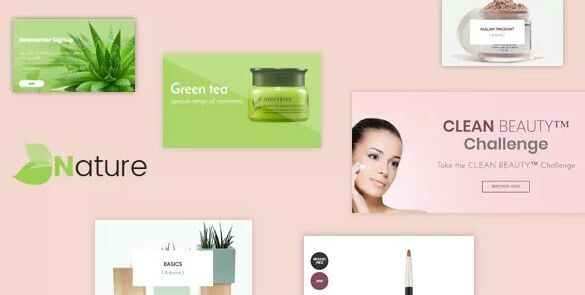 Still looking for the best beauty PrestaShop Theme for your Beauty Spa, Skin Care or Health Care? Bos Nature is here. A new choice for you. Firstly, Bos Nature has been released by Leotheme in the latest version 1.7.5. It comes with all PrestaShop 1.7.5 features with amazing improvement (SEO & Bugs Fixed). So your website can run smoothly & displayed in a professional way. Secondly, the ready-to-use theme will allow building your eCommerce site in minutes. That’s 1 Click Installation Import. All demo contents, layouts, styles,... can be done quickly. All beauty, skincare or health service looks great on intuitive theme navigation, your visitors dive into an atmosphere that matches what they’re looking for, the order process is easy and reassuring ideal for converting your visitors into customers. Equal importance, Bos Nature is impressive with not only a stunning beauty shop but also an awesome builder tool. Integrated by bundle PrestaShop Modules such as Page Builder, Slideshow, Blog, Mega Menu, & other, Bos Nature helps to build your website easily. Flexible settings, unlimited customization, the theme let modify endlessly website to increase the difference of store with others. RTL & Multiple Linguals, SEO & Mobile friendly are additional options to make Bos Nature the best.